You are here: Home / Den Talk / Home is where the heart is for Paris Jackson as he extends with the Lions. Home is where the heart is for Paris Jackson as he extends with the Lions. Paris Jackson had better offers, but in the end he chose to stay with both is immediate and CFL family over the other options. 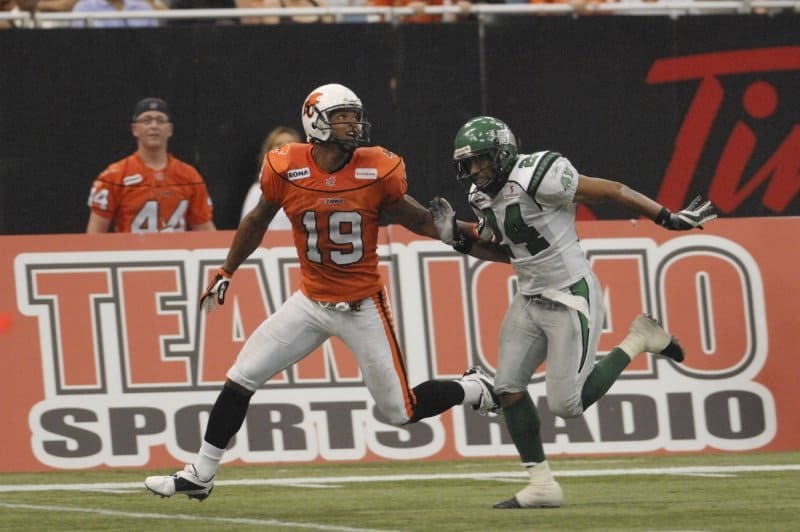 The BC Lions announced following the Super Bowl that the popular veteran non-import receiver had extended with the Lions for another year plus an option. Jackson assumed a back up role for the team last season and helped mentor younger receivers such as Akeem Foster, Shawn Gore and Marco Iannuzzi. He’ll assume that role again and also be ready to make a clutch catch when called on, as he did in last season’s Western Final and Grey Cup game. More details on the signing can be found at BCLions.com and at Lowell Ullrich’s Fifth Quarter blog.